You may still be at risk of developing a DVT up to 6 weeks following your stay in hospital so you will probably be advised to continue wearing anti-embolism stockings for this period. SupCare anti-embolism stockings provide the same high level of protection from DVT that your white hospital anti-embolism stockings gave you, but are more practical for everyday use once you leave hospital. 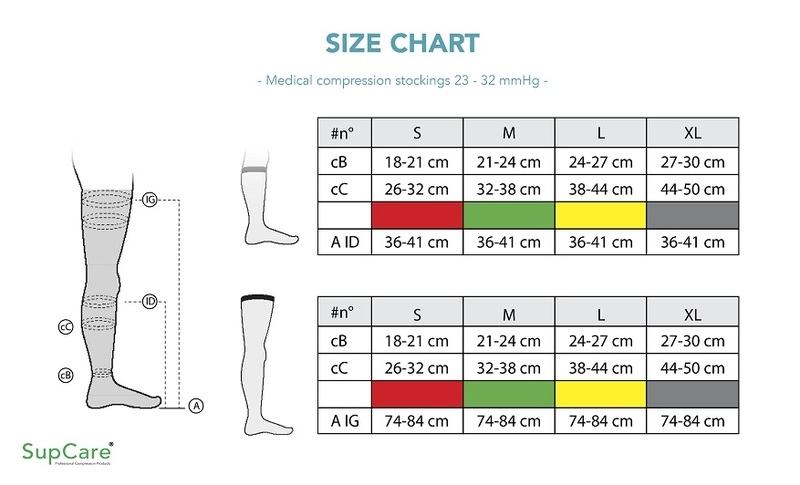 SupCare anti-embolism thigh-length stockings are available in four sizes .